If we need quality irrigation water, here we are Garden Grow carbon filter. 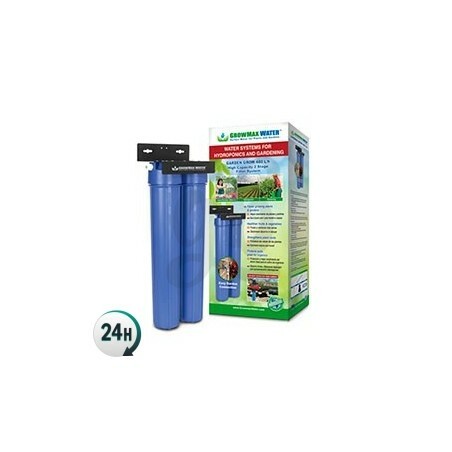 It can get you up to 450L/h of water free from pesticides, sediments and chlorine. Our plants need water free from chlorine since this one attacks directly the roots of our plants, burning them and stopping their growth. If we use a filter such as Garden Grow to clean irrigation water, our plants will look much healthier. You'll see your plants thrive and yield to their best by simply supplying them with better quality water. Garden Grow is very easy to set up in any garden tap and doesn't need excessive pressure -unlike osmosis filters- to work properly. Therefore, it will be ideal in any crop we want to install it. It is perfect when we don't need to change the Ec of the water. It will eliminate chlorine entirely along with any particle above 5 microns. Each filter lasts up to 6 months and you can make your unit work as the first day by buying a replacement one. 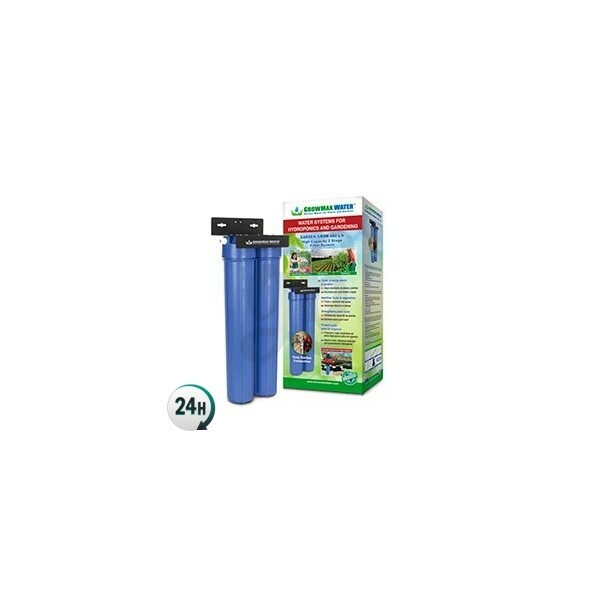 Provide your plants with the quality water they deserve with Garden Grow. 480L/h of impurity-free water.